Selling my Kenwood DNN990HD. Purchased new about 2 years ago, been using it since. Amazing unit honestly would never change my stereo again if it wasn't for the fact the vehicle its installed in is now my winter beater. This is Kenwoods top of the line unit jammed with every feature from high end SQ features, to built in nav, and wifi. This deck has it all. Price is $800. Built-In WiFi - The Connected Entertainment Receiver keeps the driver connected to their world. Entertainment, Travel Tools and Social Media can be accessed via the receiver when connected to the internet via a portable hotspot or hotspot enabled smartphone. 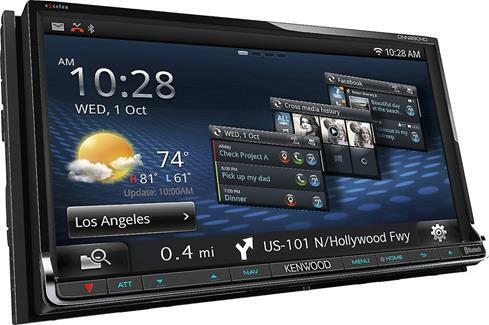 Garmin GPS Navigation System - DNN models offer the world's leading GPS navigation system by Garmin. With preloaded NAVTEQ® map data of the United States, Canada and Mexico, including Alaska, Hawaii and Puerto Rico, you can choose from different intuitive map view options including split-screen AV control. The built-in NAVTEQ Traffic service delivers real-time traffic data in more than 90 major cities across North America and comes with a lifetime subscription. Additional Garmin features include Smart POI search and predicitive text for a faster searching experience as well as new frequently used menu shortcuts, and Exit Services to keep you informed about what services are available at approaching exits. Three 5.0V Pre-outs with Crossover System – Get the most out of your external power amplifiers by delivering a low impedance 5.0V high voltage audio signal to maximize sonic performance. Using the built-in crossover system, you can also easily filter out unwanted frequencies to your speakers and subwoofers to tune your system to its maximum potential.